August has been a month of feasting for me. 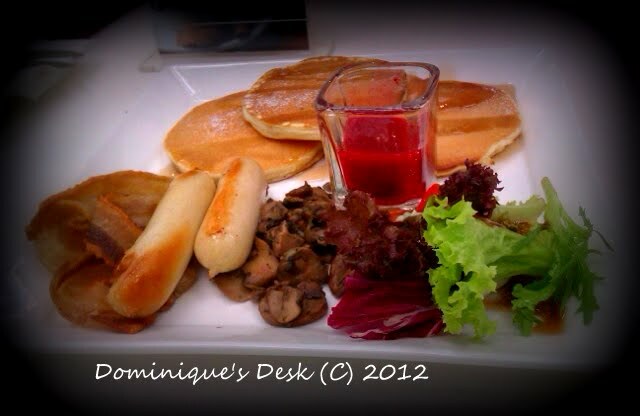 The kids were treated to breakfast at the airport as I decided a change from our normal breakfast routine at home. 1. I celebrated my 34th birthday and met up with many of my friends to celebrate. Birthday celebration started a week early with a lunch buffet with my friends at Traders hotel. 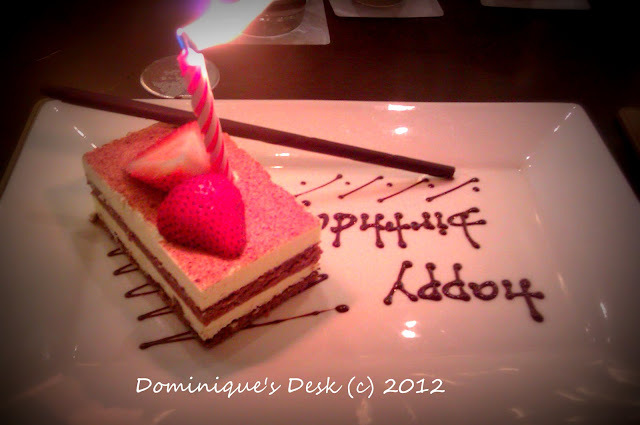 I love the slice of tiramisu topped with strawberries which was served towards the end of the meal. 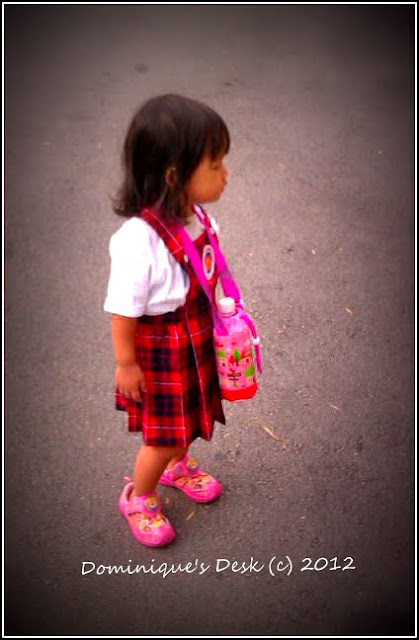 2.August marked a new milestone for Tiger Girl as she entered playgroup. 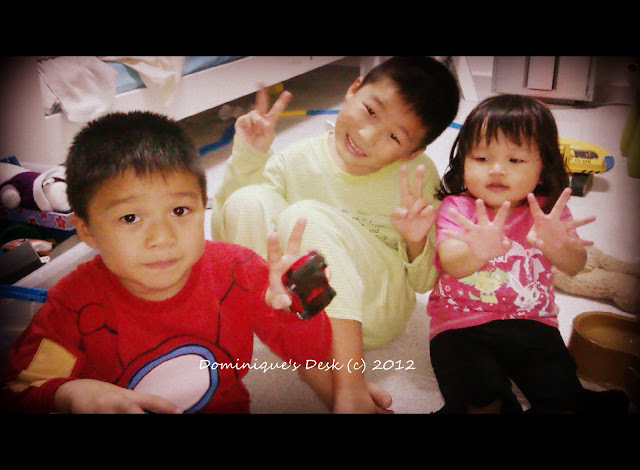 She now goes to school with Doggie boy and enjoys spending time in school. Doesn’t she look cute in her uniform? 3. It was bags and cheesecake as I bought new school bags for all of the kids and resumed baking. This time instead of doing a one flavoured cheesecake I decided on a marble cheesecake which had chocolate added inside. 4. 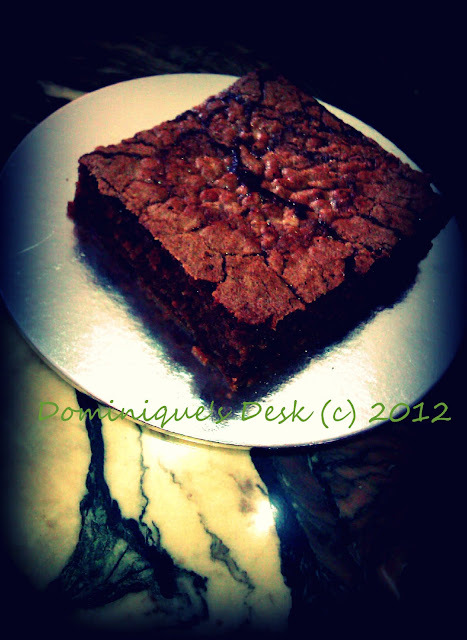 If cheesecake is something which you don’t really fancy then how about some chocolate brownie instead? This was the 2nd birthday cake which I baked myself that was cut on my birthday itself. 5. More on chocolate cake. During an outing with some friends I was introduced to a cafe which serves really yummy chocolate cakes and tarts. 6. 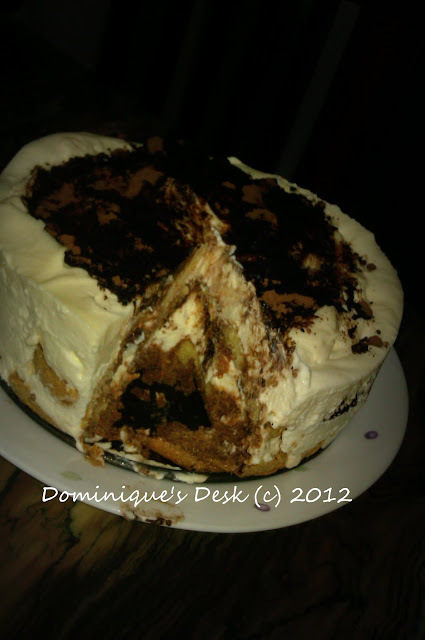 I really had my fill of chocolate cake with the chocomisu I baked last week. It was the third bake that I did in August and I really have had too much cake. 7. 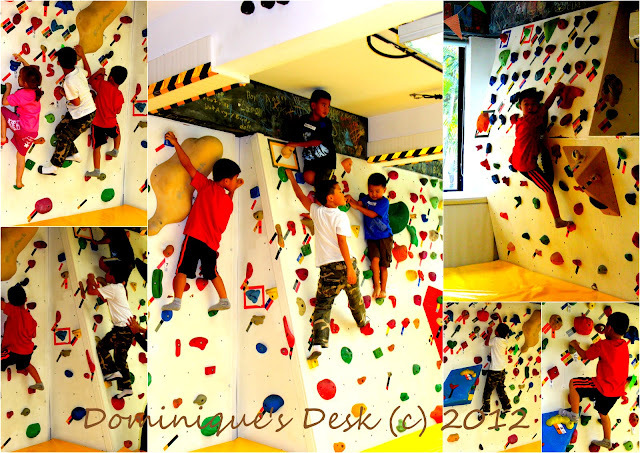 The boys had a blast scaling the walls when we were invited for a free play session at The Rock School. 8. 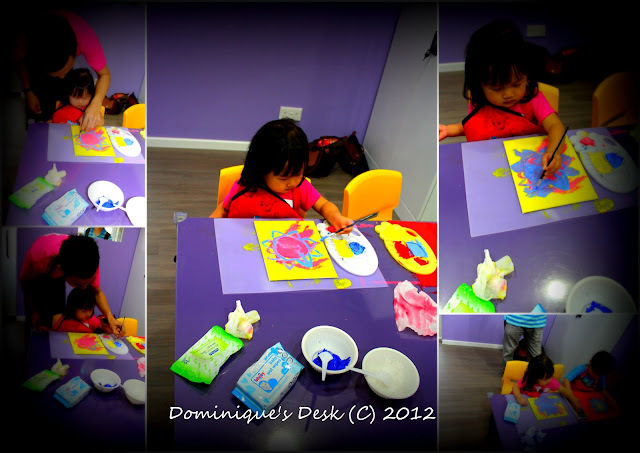 Tiger girl had fun painting and creating her own unique masterpiece at Hearts Studio. It’s an excellent place if you are looking for signing up your child for art classes. 9. 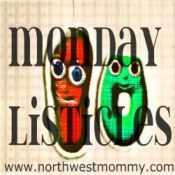 I shared on how I do it all – creating blog content in between my hectic daily schedule and how precious seeing the kids enjoying sibling love is to me. 10. We have been having more sun this month and during one of the weekend we took the kids out for bowling and go kart fun. Belated Happy Birthday! I love the fact that you actually bake! One of my frustrations. Would love to try the wall climing for kids too. Happy for you because you seem to have a really happy simple good life. 🙂 Cheers! I hope I know how to bake. So that I wouldn’t drool over these yummylicious cakes that much, hehehe! the cakes all look so yummy!!! i wish i could have a slice of it…but but but have to stay away from it. belated happy brithday! I feel like I just put on 5 pounds reading this post 😉 Tiger girl looks so sweet in her uniform!! yummy cakes I hope I can have a slice of the cheeze cake :)..
Those pictures are amazing. Tiger Girl looks so adorable in her uniform. Love the climbing wall!! She does look cute in her uniform. And those chocolate cakes are simply divine! August seems like a fun month for you and belated happy birthday btw.